Big Thrills Oakdale (Oakdale, MN) – Starting off with a location that was mentioned in the Replay Magazine newsletter yesterday, this growing FEC chain is going to be turning heads by offering a new attraction – axe throwing. Yes, you read that right…think darts but with hatchets/axes. They also will have a modern arcade, replete with a mix of video and redemption titles, weighing more on the latter. Visit their main website here. Mega Blast Laser Tag (South Bend, IN) – We haven’t reported on very many laser tag arenas but it is possible that I’ve overlooked those as opposed to not having many open their doors. For this company in Indiana, they are opening their second location on Feb. 2nd. Like most laser tag arenas, they will have an arcade with “about 50 games”; entertainment will include pinball, air hockey and VR. Read more about them at the South Bend Tribune. Players Club (Washington DC) – The DC area has seen a lot of growth in the past decade but it wasn’t until this past year that we really started to hear about arcades setting up in the region. Most are using the bar/arcade format though so I do wonder how that will work out in terms of overlap. Players Club will also be a bar/arcade, offering video arcade games from the 80s and “six pinball machines.” Read more about them at NBC Washington. Quarters Arcade Bar (Salt Lake City, UT) – I missed this in the initial post but found out shortly afterwards that a bar/arcade is coming to Utah and they plan on being open by the end of February. They have pinball and are also trying to Kickstart the funds for getting a Killer Queen Arcade setup. Should be interesting to see how a bar/arcade really performs in a State that probably has the fewest number of bars per capita in the country. Their Facebook page is here. John’s Incredible Pizza (Westminster, CA) – Over in California, a new John’s Incredible Pizza is putting together a 41,000 sq. ft. facility capable of accomodating over 1000 guests. It will offer similar attractions as other JIP locations, which will include an arcade. The PR doesn’t mention any details about that aspect of the location however. Cherry Lanes Barcade (Sturgeon Bay, WI) – Offering the ‘first barcade in the county’, the Cherry Lanes bowling location shut down in January for a complete remodel. As a part of the new design, arcade & pinball machines will be a part of the mix although the article at Door County Pulse doesn’t specify details on that part of it. Their Facebook page also doesn’t show anything about the arcades yet but I imagine most of their time and focus has been on refurbishing the bowling side of it (which is not exactly a fun process). 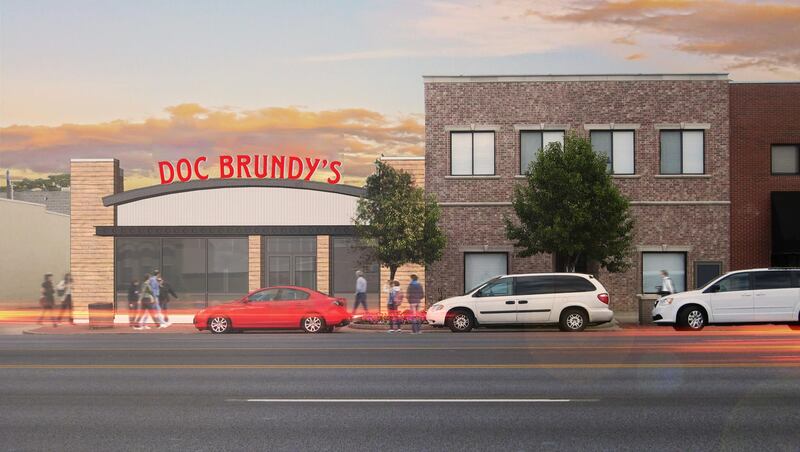 Doc Brundy’s (Spanish Fork, UT) – Out in my sort of neck of the woods (about an hour South) is something that puts a twist on the bar/arcade trend with an upcoming sodacade called Doc Brundy’s. The reason for this is mentioned in this article by White Hutchinson Group, where they have been consulting with the owners. In a region where 88% of the immediate populace likely doesn’t drink alcohol, jumping through the expensive and time consuming hoops to get a liquor license isn’t exactly a recipe for success. The next best thing – soda (which is something I have thought about doing too, if I wasn’t in a mall already). You can visit their Facebook page here. Dave & Busters (Salt Lake City, UT) – Since we’re on the subject of my residing state, I should note that Dave & Busters has begun construction at the Gateway Mall in downtown Salt Lake City. I am amazed that said mall is still in business as the last time I went by in September, there were about 10-15 shops left. Anyone left including the mall management are banking all of their hopes on D&B to turn the ship around as it is has been a ghost town there for quite a while. As mentioned in a previous post about this though, it’s also a challenge in that they are going to be the 4th company to attempt a big arcade in that mall, having been preceded by Tilt, Skybox (a bar/arcade) and Gameworks. Round1USA (Murray, UT) – Ditto as to what I just mentioned about D&B, Round1USA has set their sights on a mall that is about 15-20 minutes South of SLC. They also have begun construction at the South Towne Mall with plans to open sometime this Spring. South Towne is in much better shape than the Gateway as it is more of a traditional indoor mall (Gateway is an open air mall aka, glorified strip mall) but they oddly do not have other entertainment options around like a movie theater. I haven’t heard much else about R1 going in there but it’s safe to assume that it will enjoy a similar setup to other R1USA locations. YESTERcades #3 (Westfield, NJ) – I recall mentioning YESTERcades on the site previously and since we first did mention them, they’ve been growing. They expect to open their third location in New JErsey by the end of March. Read more details at mycentraljersey.com. 810 Billiards & Bowling (Myrtle Beach, SC) – A new 43,000 sq. ft. is under development in Myrtle Beach, seeking to bring a sports bar, 20 lanes of bowling and an arcade together for the guests. This appears to be a surprise to some in the area as the owner of the new location also owns 710 Burgers Bocce Beer and Bowling in North Myrtle Beach. They are targeting a May/June opening date. Read more about it at Myrtle Beach Online. Endgame Arcade Bar Tempe, AZ – Patrons in Tempe have a new bar/arcade to look forward to although “new” isn’t entirely accurate as the company is relocating from a previous location to a much larger one. This space will integrate three different bars into the space and will focus primarily on “console and PC gaming”. In browsing their Facebook photos, I only came across a three or four photos of the arcade area, which isn’t very large but I imagine they will keep that, at least. Read more about it at ktar.com. 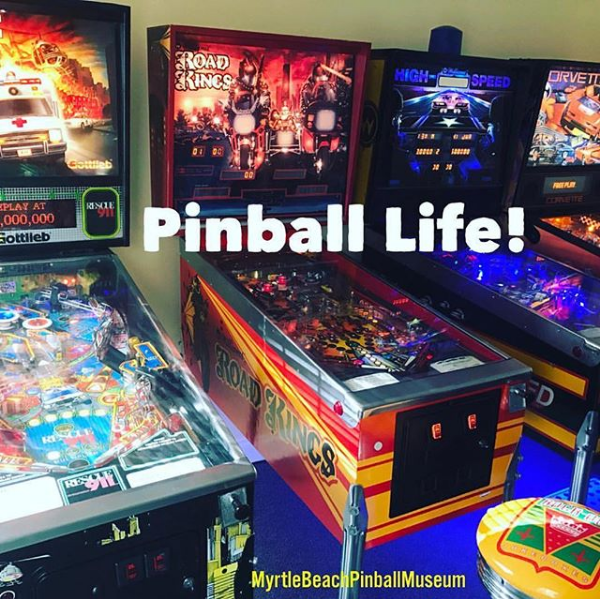 Myrtle Beach Pinball Museum (Myrtle Beach, SC) – This is a location I discovered through using Instagram for my business – they are very active on there despite not having opened their doors yet. No date is setup for that opening yet but they do seem to have quite a collection of pinball machines to play. Check them out here. Big Al’s (Milpitas, CA) – I’ve heard of Big Al’s but never visited one before. Based out of Washington State, they appear to offer a solid FEC experience, replete with brand new arcade machines. Opening in Milpitas has some gaming significance to it as well – once upon a time that city was the home of Atari Games. You can read the article about the new development here at Mercury News. Launch Trampoline Park (Richland, VA) – Bar/arcades haven’t been the only trend one can find in out-of-home entertainment growth, trampoline parks have also been enjoying a bit of attention lately. Sometimes these will offer an arcade as a part of the main attraction; in others, trampoline parks are setup inside of existing FECs. For the Launch Trampoline Park chain, they are aiming to open up their 26th location in Richmond, VA this year, an arcade being included in the details. Read more about it RichmondBizSense.com. Xtreme Action Park #2 (Florida) – This one might be 2019/2020 but I do know that the massive Xtreme Action Park in Ft. Lauderdale, FL is going to be opening a 2nd location in the state sometime in the near future. The existing XAP has quite an impressive setup with a modern arcade blending both video & redemption as well as other attractions (go karts, trampoline park, rope course, escape rooms, a car museum) to go along with it. Whew, that’s all…for now. If you know of a place that just opened or will be opening soon, please let us know and we would be happy to mention it on Arcade Heroes! If you live near any of these locations, be sure to go out and support them!